Mosquito Magnet Patriot Reviews | Is The Hype For The Patriot Justified? Mosquito Magnet Patriot Reviews: Is It Worth The Money? 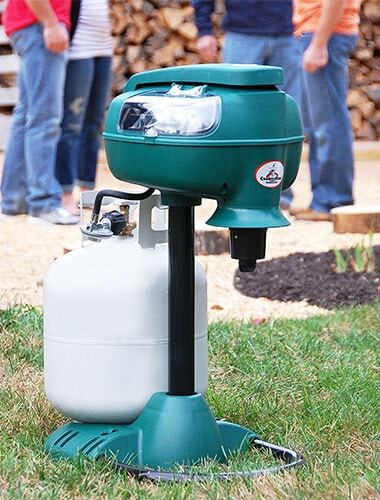 The top-of-the-line Mosquito Magnet Patriot propane trap has been manufactured for the homeowner who needs protection for up to 1 acre of land. 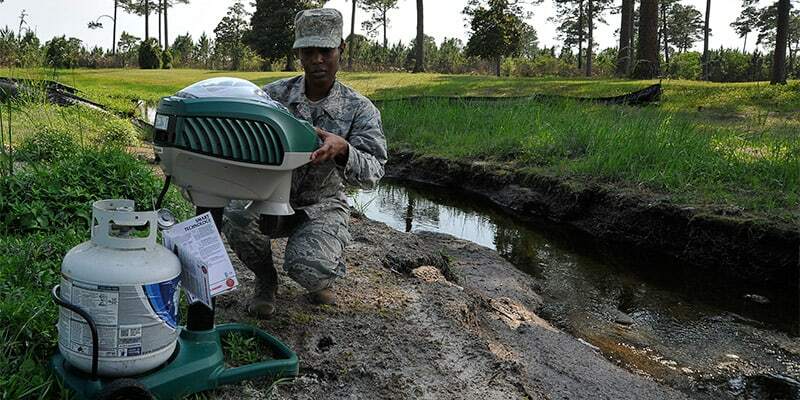 To get ideal results, run the Patriot 24/7 to cut off the mosquitoes' breeding cycle. Moreover, thanks to Mosquito Magnet's Counterflow Technology, mosquitoes are easily attracted to the trap, ensuring quick and effective mosquito control. Mosquito born diseases remain a public health concern. Currently, health agencies across the globe focus on vector control to help eradicate or lessen the number of cases. There are several innovative devices that help achieve this cause. In this article, we will take a look at mosquito magnet patriot reviews and see if the hype really IS justified. A lot of effective mosquito trapping devices abound the market nowadays. With so many to choose from, picking out the best from the bunch can be a difficult task. 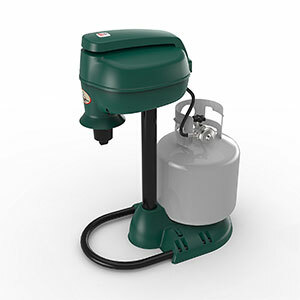 However, once in a while we encounter innovative devices that stand out from the rest all because of how amazingly effective they are, the Mosquito Magnet patriot is definitely one of them. Before we go into details why we consider the Mosquito Magnet Patriot as one of the best insect/mosquito trapping device available, I'd like to first discuss it's features. The product is manufactured by the company Mosquito Magnet which aims to provide high quality devices and equipment that help eradicate or lessen the presence of mosquitoes and other insects while offering very competitive prices. The product weighs 22.55 pounds and has a 17.2 by 22.55 by 16 inch dimension. It is an electrically powered device which only takes up 12 volts. It attracts mosquitoes and other mosquitoes by emitting carbon dioxide, heat, as well as moisture. The product is made of plastic and has an overall coverage or scope of one acre. It can only be used outdoors, but can capture insects other than mosquitoes such as flies midges and several more. Another feature I like is its 50 foot power cord which feels really good as it gives me more placement options. The Patriot also features grass clips and a rigid net which help eliminate interaction with other insects and provides easier disposal for captured insects. The grass clips also help secure the long cord in place to avoid any untoward incidents and for easy storage. When it comes to build quality, it is made of premium grade plastic as well as marine grade materials fortifying the product to become sturdy and made to last for years to come. 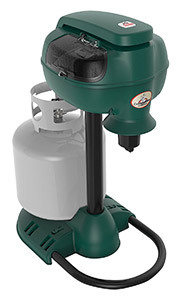 The Mosquito Magnet patriot, otherwise known as MM4100, is basically a mosquito or insect trapping device which also targets other nuisance pests without the harmful odor and annoying noise most trapping device give off. The product is suitable for outdoor areas with coverage up to one acre. The device can also be plugged in an electrical socket for 24 hours for a whopping 7 days, everyday basically. The product does this through the mechanism of its patented Counter Flow technology which gives off carbon dioxide as well as heat and moisture. These components help attract the mosquitoes or other insects and then captures them in a respective reservoir. The idea of Co2, heat and moisture being emitted by the device is actually patterned after the way humans attract mosquitoes and other insects. Using this concept and the counter flow technology, propane is being converted to Co2 and produces heat and moisture. When insects are finally lured into the trap they are being sucked into a fine net with the use of a vacuum. When this happens they are dehydrated and are now devoid of any nutrients that keep them alive, thereby killing them in the process. The Patriot is very easy to setup and install. In terms of operating the device, it is fairly easy to learn and the buttons as well as functions are easy to understand and manipulate. With this device, you need not to spend a lot of time assembling the parts unlike most mosquito trapping devices. Aside from its very wide coverage, amounting up to one acre, it also has its exclusive 360 degree support program which ensures protection from mosquitoes at basically all angles. In conclusion, the Mosquito Magnet Patriot is one of the most efficient yet affordable mosquito trapping device in the market right now. The Patented Counter Flow Technology is safe and effective in trapping mosquitoes and other insects and provides for easy disposal at the same time. With only minimal maintenance, the Mosquito Magnet patriot is shaping up to last for several months, even years of service.